Stamford, CT: Overbrook Press, . 8vo (24.5 cm, 9.5"). , 128,  pp. ; illus. 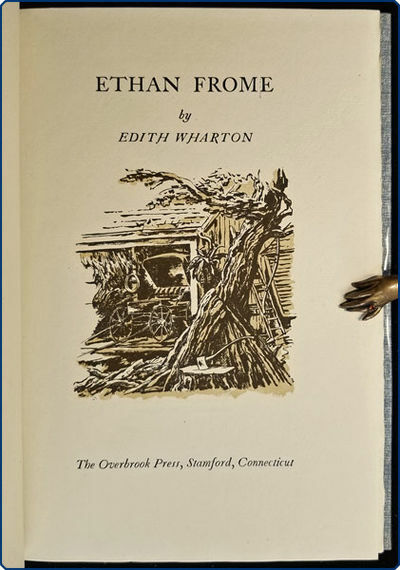 Published as a Christmas keepsake by Helen and Frank Atschul with a printed presentation note laid in, Wharton's classic tale is here illustrated in color by Edward A. Wilson, with the Overbook pressmark by Thomas Maitland Cleland on the colophon page. The colophon notes, "300 copies have been printed for private distribution. . . . Design by Margaret B. Evans." John Logan supervised the presswork through chapter eight, and Frederick Warns finished after Logan's death.